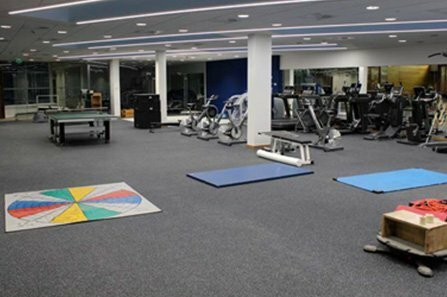 SportsComm provides high quality, durable and affordable rubber workout flooring in Australia. It’s Gym rubber flooring protects floors and equipment while keeping you safe and comfortable during your workout. Rubber flooring for gym applications can also help provide enhanced levels of comfort and traction for high intensity workouts. Call at 1800 722 666 and get one of the best rubber workout flooring in Australia.